By visiting Oudneypatsika.com, you agree to the terms of this agreement. This agreement is subject to change at any time by Oudneysstudios.com. No warranty is made by Oudneysstudios.com regarding any information, services or products provided through or in connection with the service. Oudneysstudios.com hereby expressly disclaims any and all warranties, including without limitation: any warranties as to the availability, accuracy or content of information, products or services; any warranties of merchantability or fitness for a particular purpose. Some states/provinces do not allow the exclusion of implied warranties, so the above exclusion may not apply to you.  The material on Oudneypatsika.com is meant to be shared for informational, non-commercial use only. Site visitors are allowed to download and distribute banner graphics and promotional materials for the express purpose of promoting Oudneypatsika.com. Videos appearing on Oudneypatsika.com You Tube channel may be inserted into private blogs and websites, but must link directly to the official Oudneypatsika.com video on YouTube. Oudneysstudios.com, Inc. and Oudneypatsika.com agree to never sell or distribute your email address to third parties. Unsubscribing from any email list does not necessarily unsubscribe you from other email lists within Oudneysstudios.com. Users agree to provide Oudneysstudios.com with an up-to-date email address. This agreement contains the entire agreement between the visitor and Oudneysstudios.com, Inc. regarding the use of the service, and supercedes all prior written and oral understandings and writings. The agreement shall be governed pursuant to the laws of Zimbabwe. The member hereby warrants and represents that he or she is in all respects qualified and competent to enter into this agreement.